"Outdoor seating in the sun and wind. And only a few park-type tables at that." "Great carry out. Long lines, good food. $$$$ but worth it." A Mexican chowhound from Grand Prairie, TX tried it and liked it. They liked the food, liked the service, and liked the ambiance. A Mexican food lover from Santa Fe, NM tried it. A diner from Albuquerque, NM tried it and liked it. A dining patron from Woodland, CA tried it. A diner from Vallejo, CA tried it, liked it, and rated it . They liked the food, liked the service, and liked the ambiance. A dining patron from Albuquerque, NM tried it. A diner from West Liberty, IA tried it and liked it. They liked the food. A diner from CO tried it. A diner from Espanola, NM tried it and liked it. They liked the food. 5 reviews of El Modelo Mexican Food, first by Mokat. I love El Modelo because it is located in a part of Albuquerque that is historic. I love that they have never moved from where they first started. Their food is great. Their Tamales are exceptional and when my family doesn’t want to make our own, we go to El Modelo. Their beans are good, chile good and spicy with chorizo. This place is completely authentic and has barely changed since I was a kid. I have fond family memories of ordering from El Modelo. The food is not good for the cholesterol, please be warned, but for an occassional treat, it’s perfect. The staff is always friendly and I have seen people come from all over just to eat at El Modelo. I always take friends who are new to the area there just to get them started. This is old style New Mexico eating. Carry-out only and always a line. Excellent tamales which most buy by the dozen. My favorite dinner is the bean burrito plate. Three burritos with a unique sauce. EL MODELO HAS ROACHES AND MICE!!!! If you guys didn’t know El Modelo has mice, and roaches! A couple of weeks ago I went and purchased a stuffed sopaipilla the place is filthy I saw a mice trap underneath the counter, and to top it off my food had a roach nasty place I will never go back again~~!!!!!! Authentic mexican foods and the tortillas are to die for. Wait time is a little long but well worth it! Food is amazing. Great place to walk up and get a quick bite to eat. The prices are amazing for the amount of food that you get. It's no wonder they have been an Albuquerque favorite for so very long! 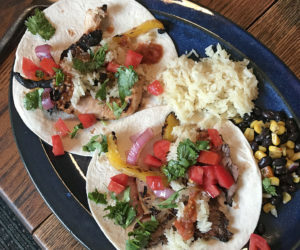 These dishes from the El Modelo Mexican Food menu are contributed by Menuism users directly, as part of a restaurant review, or as part of a photo upload. Do you own El Modelo Mexican Food? Contact us to connect with your diners. El Modelo Mexican Food is located near the cities of Old Town, University Of New Mexico, and Unm. People found this by searching for: El Modelo In Albuquerque New Mexico, El Modelo Albuquerque Menu, El Modelo Albuquerque New Mexico, El Modelo Menu Albuquerque, El Modelo Mexican Foods, El Modelo Abq, El Modelo Mexican Foods Menu, El Modelo Menu, and El Modelo Albuquerque.